FILE - Russian lawyer Natalia Veselnitskaya listens to a question during an interview with The Associated Press in Moscow, Russia, April 22, 2018. The Moscow lawyer said to have promised Donald Trump's presidential campaign dirt on his Democratic opponent worked more closely with senior Russian government officials than she previously let on, according to documents obtained and reviewed by The Associated Press. The data was obtained through Russian opposition figure Mikhail Khodorkovsky's London-based investigative unit, the Dossier Center, that is compiling profiles of Russians it accuses of benefiting from corruption. The data was later shared with journalists at the AP, the Swiss newspaper Tages-Anzeiger, Greek news website Inside Story and others. The AP was unable to reach Veselnitskaya for comment. Messages from a reporter sent to her phone were marked as "read" but were not returned. A list of questions sent via email went unanswered. But recent reporting has cast doubt on her story. In an April interview with NBC News, Veselnitskaya acknowledged acting as an "informant" for the Russian government after being confronted with an earlier batch of emails obtained through the Dossier Center. Veselnitskaya has previously said that her emails were hacked. Khodorkovsky told AP he couldn't know where the messages came from, saying his group maintained a series of anonymous digital drop boxes. Veselnitskaya's role in the drama over the Trump campaign's Russian connections is rooted in her fight against Bill Browder, the American-born British businessman who has become a leading critic of the Russian President Vladimir Putin. Browder's decade-plus crusade against the Kremlin has so enraged Russian officials that Putin demanded his extradition to Moscow during his press conference with President Trump in Helsinki earlier this month. Moscow has responded with a ban on U.S. adoptions of Russian orphans and by an unrelenting campaign against Browder, who says he's been the subject of more than a half-dozen attempts to extradite him to Russia through Interpol. Veselnitskaya told Congress last year that her interest in Browder was "all part of my job defending a specific person" — her client Denis Katsyv, who Browder accuses of laundering money through the company Prevezon. Ranchenkov devoted a chunk of the interview to questions about the legality of Browder's actions, according to a transcript of the interrogation reviewed by email. Two years later, the emails show, Veselnitskaya was mixed up in the Russian government's attempt to extract financial information from Browder's former law firm in Cyprus. In a written statement, the Russian Embassy in Cyprus called the AP's questions a "provocation" and that it had "no idea who is Nataliya Veselnitskaya and what she sends or doesn't send to the Cypriot Officials." The emails obtained through the Dossier Center show her at the center of a multipronged lobbying operation aimed at halting Browder's momentum in Washington. Jan Wondra, the organization's chairman, said she attended a meeting in Washington on June 8, 2016, that with a group of people including Rinat Akhmetshin, a Russian-American lobbyist who was working with Veselnitskaya to overturn U.S. sanctions against Russia. "Is it possible to open a Fund account here in Russia, so we can collect money from donations and then pay them into an account anonymously in the U.S?" she wrote Mark Cymrot, a lawyer at the U.S. law firm BakerHostetler, in a March 17, 2016, email. Cymrot represented Prevezon, the Katsyv-owned company accused by Browder of being a conduit for the ill-gotten money Magnitsky was tracking before he died. But Cymrot did more than just fight Veselnitskaya's corner in American court; he also helped her undercut Browder's crusading image in the American media. Fusion also was tasked with background research for Veselnitskaya's work convincing elected representatives to push back against Browder's campaign in Washington, where the Global Magnitsky Bill, an enlarged version of the 2012 law, was wending its way through Congress. "Any articles critical of Browder," Cymrot told Fusion, saying the staffer had asked for "anything we have that could be helpful." "Time is of the essence," he added, noting that the global bill was only two days from the beginning of the amendment process. "You're misinterpreting what occurred," he said in a telephone interview. When pressed for details, he asked for questions in writing. When these were provided, he did not respond. BakerHostetler also did not respond to written questions. Whatever Cymrot's role, Veselnitskaya's modest American lobbying effort came to naught. The Global Magnitsky Act cleared the Committee on Foreign Affairs amid overwhelming bipartisan support. It was signed into law on Dec. 23, 2016. The campaign to knock the wind out of Browder's sails began to draw blowback as the political climate changed. After Trump's election in November, the once-discreet Fusion was thrust into the white-hot center of Trump's Washington when it was revealed that the private intelligence company had commissioned the dossier containing explosive claims about the future president's behavior in Russia. Republican politicians seized on Browder's 2016 complaint about Fusion to try to undermine the dossier's authors, accusing Simpson, for example, of secretly working on behalf of the Russian state, or of letting his work for Prevezon overlap with his opposition research on Trump. Simpson denied the charges in his testimony before Congress. In a statement Thursday, Fusion's lawyer Joshua A. Levy said the company had provided litigation support — not lobbying — and that its Trump research had survived determined Republican efforts to discredit it. Others in Veselnitskaya's orbit took a little time to get their story straight, a document obtained through the Dossier Center suggests. The April 2017 document initially has Robert Arakelian, the owner of the HRAGI organization working to overturn the adoption ban, explaining that he is exempt from the requirement to register as a foreign agent and saying he created the organization "at the request of Denis Katsyv." The document's tracked changes suggest a BakerHostetler lawyer rewrote the charity's origin story wholesale, deleting the reference to Katsyv and saying instead that the adoption group was established after Arakelian met Akhmetshin, the lobbyist, and "learned that the law is unjust and based on false information provided to members of the United States Congress." The BakerHostetler lawyer then inserted a sentence explaining that there were no agreements between the adoption group, Katsyv, Prevezon "or any other foreign persons or principals from the Russian Federation." The only foreign link, the document said, was an "informal representation" by Veselnitskaya. Arakelian didn't return an email seeking comment. 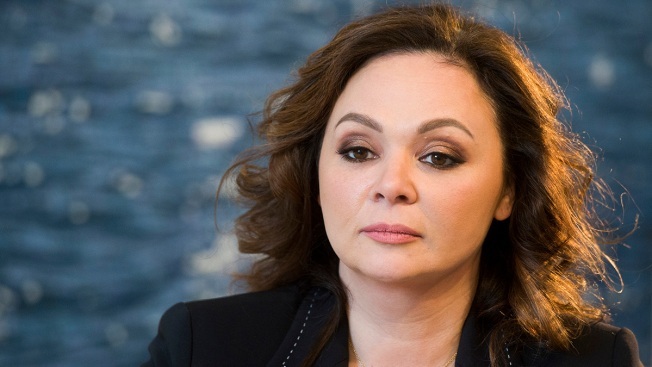 Faith Gay of Quinn Emanuel told Veselnitskaya on May 1, 2017, that she was still in touch with BakerHostetler even though the firm couldn't officially participate in trial preparations. "We have been trying to talk with them informally as much as possible," she wrote. "It was all under the transition period," he said in his interview. Worries about the behind-the-scenes assistance becoming public would prove a source of concern after news of Veselnitskaya's meeting at Trump Tower became public. Releasing the messages could result in "a question being raised about BakerHostleter representing Prevezon's interests well beyond the district court's disqualification of them as Prevezon's counsel," one lawyer wrote. "I can see no reason to worry," she wrote on Aug. 18. But five days later, senior Quinn Emanuel lawyer Faith Gay reemphasized the point, arguing that the documents should be kept secret "as it seems to us that it could be your friends at BakerHostetler in a bad light." Veselnitskaya's final response isn't captured in the messages obtained through the Dossier Center, but she appears to have relented. The emails between BakerHostetler, Fusion and congressional staffers were never made public. Instead, a two-page email log was produced labeling the material "confidential communication performed at the direction of counsel in anticipation of litigation." In particular, the Dossier Center's investigation turned up almost no messages about the Trump Tower meeting, its lead-up or its aftermath. The group said it received only a few messages dealing with the media queries when the meeting became public in mid-2017. "I wanted to go away as soon as possible," she told Congress. "And I felt Trump Jr. wanted the same too." The messages also carry no hint of the Trump dossier, and nothing in the material challenges Simpson's testimony that Fusion's work for Prevezon was kept separate from its work on Trump. Finally, there's no mention in the documents of the Russian hack-and-leak operation that began rattling the Democrats immediately following Veselnitskaya's visit. About a week before the Trump Tower meeting, for example, Veselnitskaya's translator warned Arakelian, the owner of HRAGI, the adoption group, that their emails were vulnerable and suggested switching to more secure channels. "We need to think about how to send files via Telegram, Signal or PGP," he said. EDITOR'S NOTE — Raphael Satter's father, David Satter, is a Russia specialist who has been critical both of the Kremlin and of the Fusion GPS-commissioned dossier on President Donald Trump. He was involved in a 2011 arbitration claim against filmmaker Andrei Nekrasov over the production of a documentary. A subsequent film by Nekrasov, which was critical of British investor Bill Browder, was promoted by Natalia Veselnitskaya.